The Art of Horror delivers an unprecedented collection of horror-related art just in time for Halloween! Horror is all the rage this fall with TV shows like Scream Queens and American Horror Story, and movies like The Visit, Paranormal Activity: The Ghost Dimension, and Crimson Peak. 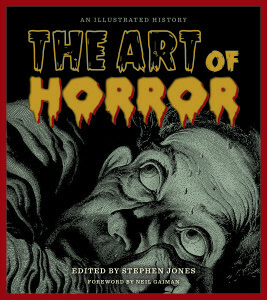 In THE ART OF HORROR: An Illustrated History (Applause Theatre & Cinema Books Hardcover; October 31, 2015; $40), editor Stephen Jones beautifully captures the rich artistic history of this subversive genre. 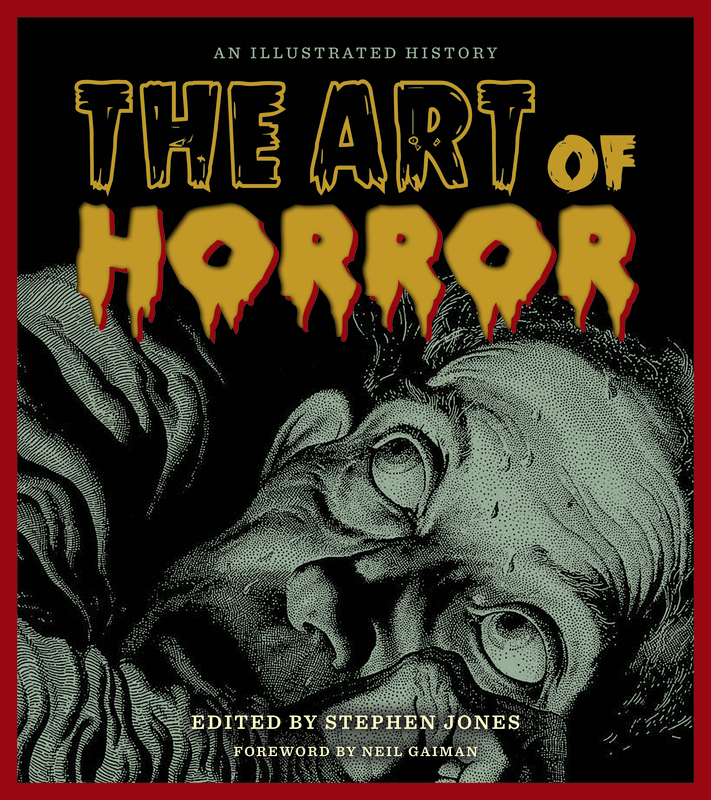 THE ART OF HORROR is a true celebration with over 500 frightful images, compiled and presented by some of the genre’s most respected names, including a foreword by cult favorite Neil Gaiman. Readers will be ensnared by the shockingly lurid and hauntingly beautiful color photos and illustrations representing every aspect of the horror genre since Bram Stoker’s Dracula and Mary Shelley’s Frankenstein in the 19th century. Editor Stephen Jones and his exceptional team of over 100 contributors have sourced visuals from archives and private collections worldwide, ensuring an unprecedented selection for those discovering the genre and the most committed fans. We recently reached out to horror blogs to let them know about a really cool title that Applause Theatre & Cinema Books will publish in October. THE ART OF HORROR: An Illustrated History is a celebration of over 500 frightful images, compiled and presented by some of the genre’s most respected names, including a foreword by cult favorite Neil Gaiman. Readers will be ensnared by the shockingly lurid and hauntingly beautiful color photos and illustrations representing every aspect of the horror genre since Bram Stoker’s Dracula and Mary Shelley’s Frankenstein in the 19th century. With a release date to coincide with Halloween, horror-art and design devotees will be clawing for this stunning addition to their creepy collection.